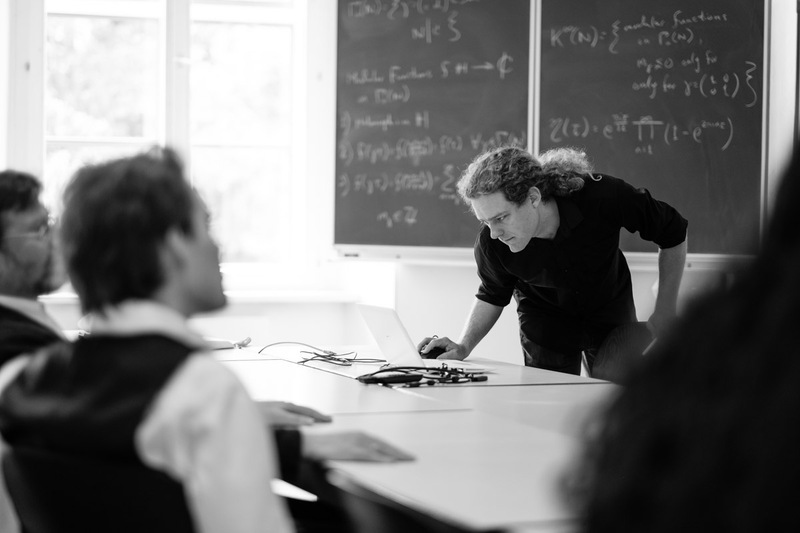 We have scientific talks by RISC members or by invited renowned researchers on a regular basis in the RISC Colloquium, usually on Monday afternoon. From time to time our guests give talks also in one of the research seminars. q-series related to weighted odd Ferrers diagrams. A Polynomial Version of the Rogers-Ramanujan Identities and Ramanujan Type Functions. Combinatorics on polynomial equations: do they describe nice varieties? 4-Shadows in q-Series: Gupta, Kimberling, the Garden of Eden and the OEIS. The linearisation of the lambda-calculus: a tale of two conjectures. A bijection for switching all crossing and nesting numbers for a subclass of matchings, set partitions, and permutations. Schur functions and generating functions for Kostka, Littlewood-Richardson and Kronecker coefficients, and their stretched versions.